Kids love to come to the Redcliffe Leagues Club as much as their Mum or Dad with the fantastic facilities available in our very own Kids Club. The Dolphins Kids Club is equipped with the latest state of the art technology to ensure peace of mind for you and your childs enjoyment & safety. Equipped with TV for streaming Nickelodeon, or Cartoon Network throughout the day, your kids will be entertained for hours. Not only that, there are 2 XBox 360’s set up for your kids enjoyment, each operated by the brand new Kinect technology that’s sure to have them working up a sweat. 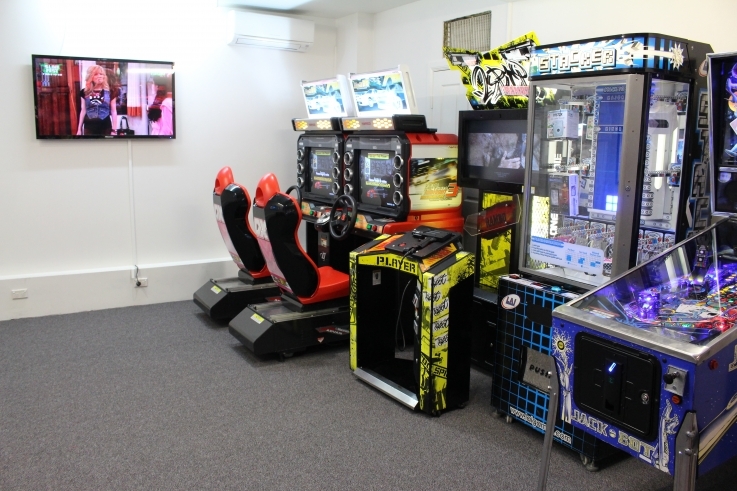 Your traditional favourites are also available, with a wide range of arcade games available; your kids won’t want to leave. So sit back and enjoy a coffee or cake from our Koopa Café or dine with us in the Dolphins HQ restaurant, and thanks to the new CCTV monitored network you can make sure your kids are safe at all times straight from where you’re seated on our various dedicated Kid’s Club TV hubs.